Each year, Broadway Workshop along with Project Broadway present a lavish full scale Junior Main Stage musical theatre production in NYC! We are thrilled to announce our 2019 Junior MainStage production – SHREK JR.
Our 2019 Main Stage Production is the hot Broadway Musical – SHREK JR! SHREK JR. will feature two full casts of actors and is open to students ages 8-14. Beauty is in the eye of the ogre in SHREK JR., based on the Oscar-winning DreamWorks Animation film and fantastic Broadway musical. It’s a “big bright beautiful world” as everyone’s favorite ogre, Shrek, leads a cast of fairytale misfits on an adventure to rescue a princess and find true acceptance. Part romance and part twisted fairy tale, Shrek JR. is an irreverently fun show with a powerful message for the whole family. We are so proud to announce the cast list for the 2019 Junior Main Stage – SHREK JR. The Junior Main Stage production is geared towards student actors ages 8-14. 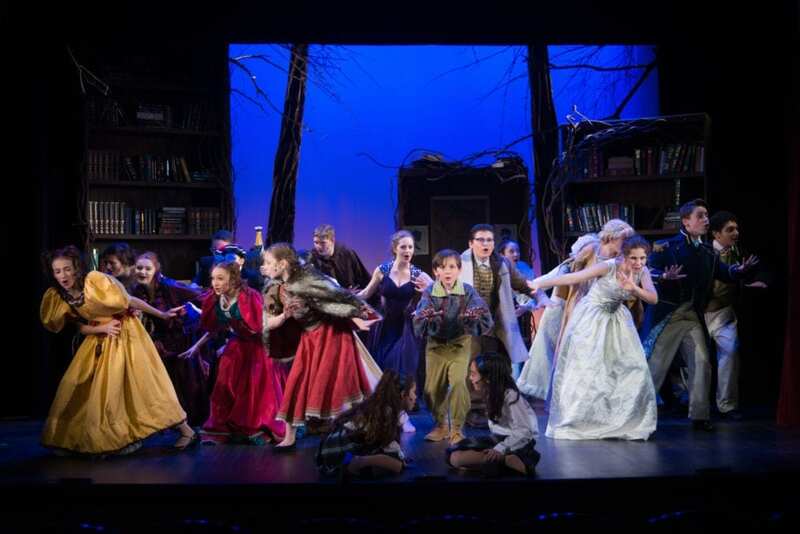 Over the past 10 years Broadway Workshop has produced some of the highest quality youth theatre available and has been part of the pilots of serval major musicals – Click here to see photos from our past productions. Our Main Stage and Junior Main Stage productions take place at an Off Broadway Theatre venue in manhattan and utilities the highest level directors, choreogrophers, lighting designers, set designers, costume designers and sound designers working in New York City. All Broadway Workshop’s productions are co-produced by PROJECT BROADWAY a 501(c)3 non-profit program dedicated to providing scholarship opportunities for students interested in theatre arts. The Junior Main Stage is a tuition based program. Full and partial scholarships are available for both the Main Stage and the Junior Main Stage. Junior Main Stage production is a tuition based program, there is a $650 registration fee if cast in the Junior Main Stage Program. Full and partial scholarships are available for students who qualify. In order to be considered for a scholarship, you must fill out a scholarship application before your audition appointment. 2018: Into The Woods Jr.
2013: School House Rock Jr.